Nukekubi: A paranormal, detective novel; Ray, a modern day western wizard, must stop a creature from Japanese mythology from feasting on the people of Toronto Ontario. Tinker’s Plague: A post-apocalyptic, science fiction, medical and political thriller. A lone man of science must battle a plague released from an ancient Bio-research facility by an uneducated, post-apocalyptic population. Slaves of Love: e-book: A futuristic detective story of love and madness. Two men trapped in the same body make common cause to save all they love from the crime syndicates of the twenty second century. 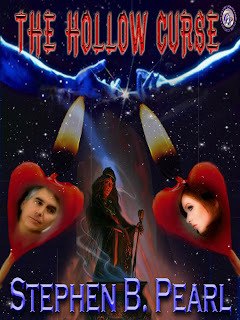 The Hollow Curse: e-book: A centuries spanning tale of love and obsession. Soul mates cursed in an earlier life to be forever separated by a gulf of years and social norms struggle to come together and break the curse. I target people who have a desire to read something that follows the logical consequences of the story. If you are in our world investigating a string of killings committed by a disembodied flying head from Japanese mythology you are going to have to avoid police involvement or wind up in a coat with extra long sleeves. ;-) I’m also targeting people who want to enjoy their read. If there is an agenda in my books it grows out of the logical nature of the world and characters. Some people feel that Tinker’s Plague has an environmental agenda. In fact it is a fairly realistic extrapolation of current trends, nothing more. As a fiction writer it is my job to entertain anything else is secondary. For my novel Tinker’s Plague http://www.stephenpearl.com/Books/Books.htm the title was simple because it is about a Tinker, in this context a Doctor of General Applied Technologies, dealing with a plague. The tinker part came from a tinkerer or Jack of all trades. For Slaves of Love: www.clublighthousepublishing.com : The story involves a drug that turns people into Love Slaves by heightening the infatuation response to ridiculous levels. 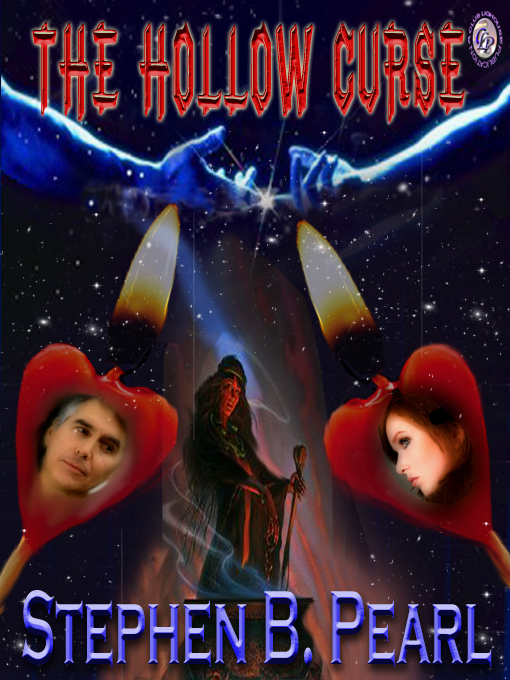 For The Hollow Curse: www.clublighthousepublishing.com The curse that drives the action was the sores of the title both because of the way it makes my protagonists feel and the fact that in essence it is a hollow thing devoid of real power. 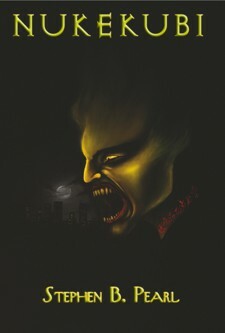 For my novel do to be released in March 2013: Worlds Apart: http://www.darkdragonpublishing.com/index.html it is a love story involving a Wiccan Priestess from our world and a wizard from a parallel earth. Thus they are from ‘worlds apart’ yet oddly closer than many who were born on the same world as themselves. I’m doing the gallies for this one at present. It’s a fun read if I do say so myself. Gods, it’s like asking ‘Who’s your favorite child.’ For me it is very situational. If I was fixing my car I’d want Brad, my tinker from Tinker’s Plague, around. If I wanted a Tarot reading Ray, my modern day wizard from Nukekubi, would be my choice. If I was single, Joy put down the frying pan I said if, writer nervously glances over shoulder. Yes well, if I were single any of my female leads. I like strong, smart women who don’t put up with a lot of c**p. Astra, from Slaves of Love, might come in handy right now. My computer has been acting up and she’s brilliant with them. I have some characters I love to hate, will that do? I tend to like villains that are cultured, urbane, and well mannered. The kind that will snap off your fingers one by one as they have high tea with bone china and impeccable manners. A well known example of the type is the lead terrorist from the first Die Hard movie. An exception to this rule is Dorrie, the villainess from The Hollow Curse; she is better defined as D in the book. If you read it you’ll know why. She is mean, shallow, deeply wounded and selfish. I frankly don’t like her, but even there there is a transformative ark. That, I think, is key to a villain. There must be some seed of virtue, some slight glimmer of hope that something admirable might grow out of this being otherwise they become a caricature and I tend to lose interest. I’d update the windmill type in Tinker’s Plague. It would have no real impact on the story, but it would be nice to reflect the latest technology as it is so much more efficient. Fun Facts. OK for Tinker’s Plague all the towns mentioned really exist. I had an exhibitors’ table a few years ago at the Eden Mills Writers Festival. Eden Mills is the town where the troops maintaining the quarantine in the book bivouacked. I will be, or by the time this is posted maybe have, attending Faery Fest in Guelph, June 22-24, 2012. The main action in Tinker’s Plague takes place in Guelph. Cathy, my female lead from Nukekubi, lives in an apartment patterned after one I lived in several years ago. Ray, my lead from Nukekubi, drives the same kind of car I do. Ray’s knowledge of lifeguarding is drawn from my own having held a National Life Guarding Certification for longer than I like to think. The post apocalyptic setting and rural communities rebuilding runs parallel to the Postman the fact that I’m dealing with a plague is similar to the Andromeda Strain and I am Legend. Really in writing this one I looked at the facts of what we are doing to the planet and followed my nose. Nukekubi is in the same vein as the The Dresden Files books by Jim Butcher. I will say Nukekubi cleaves a bit closer to the “real” world than Jim’s work. They both deal with a wizard investigating para-normal baddies. And Harry and Ray both have a sarcastic streak. What’s unique? To me they are just part of my life. I swim better than most folk, I know first aid, and I study metaphysics and science. I’ve been attending a lot of SF conventions lately. I know the rudiments of fighting with several different kinds of sword, I do my own general car maintenance, and I’m a fair home handyman and have traveled most of Canada and the USA and a good bit of England. Stephen can truly spin a tale. 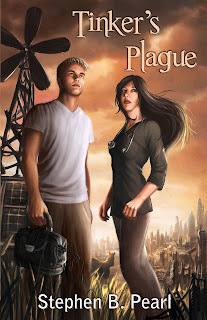 “Tinker’s Plague” novel really is the most original post apocalyptic stories I’ve read in…well…forever- Chris A. Jackson author of Scimitar Moon. The plot is well-done and the author clearly pays attention to modern-day politics and environmental issues. The bleak future painted therein is based on a world (ours, obviously) that didn't heed warnings about pollution and sustainability. Nicole Chardenet – Author of Young Republican,Yuppie Princess. "Brilliant! 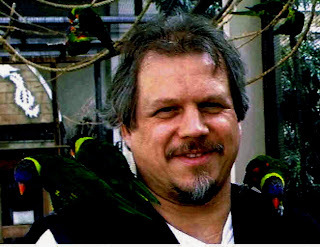 Stephen Pearl reinvents the Paranormal genre!" - Karen Dales, Award Winning Author of The Chosen Chronicles: www.karendales.com . I’m currently working on the Galleys for Worlds Apart a paranormal romance due out in March 2012. I’m also working on the rough draft of Tinker’s Sea the sequel to Tinker’s Plague and hashing out the tag ends of a story, Three Parts Love, that will be out in the Breathless Press Hot Shorts anthology. I’m in the thinking stage for the sequel to Nukekubi and a comedic peace tentatively named Cats as well as looking at self publishing Havens in the Storm, one of my classic fantasy works because I’d like to see how the numbers stack up against my works published by third party publishers. If they could write short honest reviews of my work I’d really appreciate it. Reviews are visibility and visibility is bread and butter in this business. The reviews don’t have to be complex. A simple “I really enjoyed this,” or “It was worth the price of the book,” with an honest star rating can go a long way. Post them on Amazon, Good Reads really any site dealing with books in any way. If you are feeling really enthusiastic a link from your website if you have one to mine would be fantastic. Maybe a section “Authors I enjoy,” Heck if you want content there are free stories and introductory chapters on my site, lots of authors do this, link to them and people can have a fun free read. If you aren’t yet addicted save yourself and get out while you can. I’m not kidding. It’s a hard slog and it’s getting harder to make a name for your self all the time. Be prepared to bleed and hurt and have people look at you like you were a retarded Dalmatian. Being a writer is like being on a never ending job hunt, its nerve racking and it seems like your successes are dismissed while your failures are magnified. This is writing, do it if you dare. Just to thank you Jenna and all the folk who read this interview for giving me a chance to pontificate. 15. And now, before you go, how about a snippet from your book that is meant to intrigue and tantalize us. This is taken from Nukekubi a little over halfway into the book when Ray, the wizard, astral projects in an attempt to locate the Nukekubi. Things don’t go as planned. Getting back to work, I pictured the Nukekubi in my mind's eye and willed myself towards my foe. Blackness engulfed me like a rising tide of fetid water. Screams echoed on all sides and the stench of decay filled my nostrils. Jagged rocks bit into my feet, and the air felt slimy and thick. Blood-red lightning streaked, revealing the horrors of an abattoir. Fear rose up from the depths of my being. The sporadic light revealed hideous things creeping towards me. I could taste the terror that permeated the place. "Keep your head, Ray. This is the lower astral, that's all. You can ascend from it. Now how in the name of Ra did I get here?" I spoke to myself. "Help me," wailed a figure that approached in the half-light. I stared at it. It was female, Asian, middle-aged and dripping wet. Bubbles frothed from its lips when she spoke. She was drowning where she stood. My heart lurched. I knew her. I didn’t know from where, but I knew her and had felt affection for her in some other life. The wraith released a gurgling howl, giving off an explosion of sickly, mustard-yellow, fear energy that permeated the air. It staggered then stood again. "Help me!" it whimpered. The call was echoed by others like it. Glancing around I saw shambling, corrupted, human forms on all sides. Each one’s appearance mirrored a hideous, terror-filled death. I focussed my mind on an image of the Amentet fields, the Egyptian heaven, and willed myself there. Nothing happened! "Help us," screeched the shambling wraiths that now surrounded me. "How? I can't be kept in the lower astral!" I muttered to myself as I tried again to leave that darksome place. I spun to face the voice and saw a blood-soaked, human skull. Tentacles of shining red energy writhed beneath it, like some obscene jellyfish. I realized with a disgusted jolt that the tentacles were loops of intestine. The wraiths halted in their progress, hovering in a circle less than two metres away. I willed myself away from that place, trying to return to my body. "You cannot escape, human. This is my place, walled in with my power. None may depart without my leave." The sultry tones made the threat and horror of the beings appearance more terrifying. "An astral pocket, bracketed by the fear and despair of your victims?" I made the connection. It’s a good thing I was on the astral or I would have had to change my underwear. "You are quick, mortal, but you are also dead. I would have preferred that my earthly child feed upon your flesh, but I will at least taste your spirit." A red tongue darted from the skull’s mouth and swept across its teeth before it vanished and the wraiths about me rushed forward wailing. A line of glowing Nukekubi floated beyond them driving them on. "NO!" I screamed and drew upon my heart chakra. Golden light exploded from my chest. The wraiths fell silent and halted as the energy enveloped them. It was the first comfort they’d known since their deaths. "By earth and air and fire and sea, an orb of protection form round me." I spoke the words to focus my thoughts. A moment later a glistening orb of energy surrounded me. "More," cried the wraiths who rushed me. Mutilated bodies crowded against the orb of protection and cracks began to cover its surface. Stalling them was taking all my concentration. 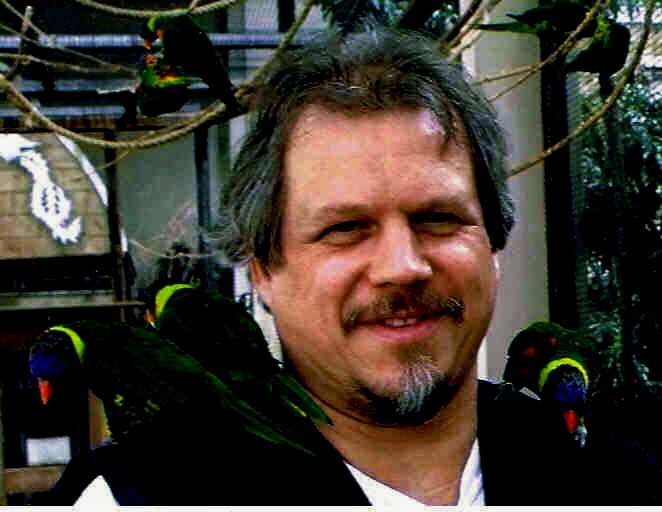 Thank you Stephen for taking part in my Author Spotlight interview! I hope your writing continues to flourish and we hope to see more of you in the future.